Imagine a young athlete with a leg injury. She goes to the hospital for treatment, and leaves with a cast meant to heal her broken bone. Has she been fully treated? According to Registered Nurse Jane Cheyne, only partly. Cheyne points out the high chance this young athlete might suffer from anger or depression after her athletic career is temporarily, or even permanently, halted. That is where Cheyne’s work as Faith Community Nurse Coordinator for Parish Nursing on the Catholic Charities of Southeast Michigan Health Care Leadership Team comes into play. Cheyne (who represents Ascension SE Michigan as Coordinator of Community Health) and others like her help to coordinate Faith Community Nursing Program (or Parish Nurse Programs, as they are called) in the Detroit Archdiocese. About one third of the parishes in the Archdiocese of Detroit have a Parish Nurse Program. Some Parish Nurses are retired registered nurses, but to participate in the program, Parish Nurses must maintain their license to practice. 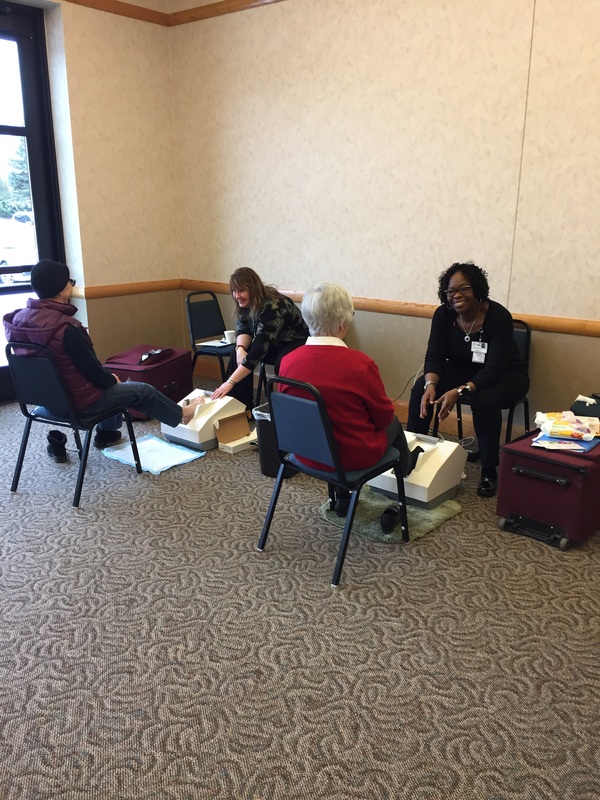 Parish Nurses host events like this Bone Density Testing program. Those interested in becoming a Parish Nurse should first talk with the Christian Service representative at their parish to see if there is a need. Then parish representatives can contact Catholic Charities. Depending on the location of a parish, Hyttinen will put the interested nurse in contact with a Faith Community Nurse coordinator like Cheyne. 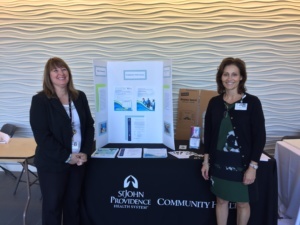 With resources from his or her local hospital system, the Faith Community Nurse Coordinator will then provide the nurse with training information and ongoing support. A Parish Nurse not only needs to have an up-to-date license to practice, but they generally need three-to-five years of registered nursing experience. Then they need to complete the parish nurse preparation course developed by the International Parish Nurse Resource Center. The course offers 36 hours of continuing education credits. Partial scholarships are available to cover the cost, Hyttinen said. Catholic Charities supports the Parish Nurse’s ministry with events like a yearly retreat. For more information, contact Hyttinen at (586) 416-2300 ext. 4032 or at hyttinenj@ccsem.org.